The skills we want to help young students develop don’t just include those directly connected to the subjects being taught. 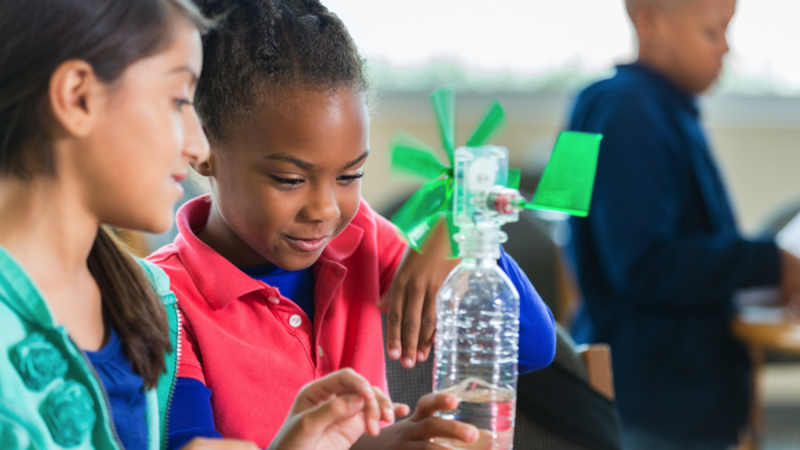 The Next Generation Science Standards give guidance on how students should investigate matter, forces, and living things, of course, but they also emphasize skills like working in teams, collaboration, and engaging in argument from evidence. These skills are important parts of students’ social and emotional learning (SEL), but why is SEL so important and what makes it ideal for bringing into science lessons? Science lessons provide great opportunities to give students investigative problems they must work together to solve. The engineering design process is a perfect opportunity to encourage students to team up, develop and test ideas, appreciate each other’s creativity, and talk about their successes and failures. As students work in teams, they’re learning to communicate, to respect the ideas of others, and to understand why everybody’s role is important. These are essential aspects not only of classroom collaboration, but also of being part of society. Good teamwork improves students’ social skills. It makes them more self-confident. It even reduces bullying. And it helps children to go on to become successful adults. That’s why we made teamwork a fundamental component of Twig Science. It’s there in all of our story-driven investigation modules, and we also created special 3-D Team Challenge mini-modules totally focused on teambuilding and how scientists and engineers work in teams. In doing so, we came up with some useful ideas for increasing the SEL value of lessons that we thought we’d share with you—you’ll find all of these in the Twig Science Team Challenges and investigations, but they could be adapted for any lesson. 1. Student-agreed Science Expectations – Children hate being told what to do when they don’t understand why they’ve got to do it. 2. Team-building exercises – Prepare students for just about every situation they’ll ever encounter in their professional and personal lives! Before getting students to embark on in-depth, full-length engineering investigations, it can be helpful to have them take part in shorter, low-stakes team-building exercises. In the Twig Science mini-modules, we suggest various icebreaker activities, storytelling games, and classroom discussions. These get students engaging in civil discourse, deliberating, debating, building consensus, compromising, communicating effectively, and giving presentations. These are incredibly valuable skills that not only prepare students for the longform storyline investigations that make up the main Twig Science modules—they prepare them for just about every situation they’ll ever encounter in their professional and personal lives! 3. Reflection points – A form of self-assessment. Involving students every step of the way in thinking about what they’re doing, why they’re doing it, and how they could do it better helps to embed the skills that they are developing. We made sure to put frequent reflection points in Twig Science to give students a chance to discuss how teams are working together and whether everyone is getting their chance to take part. The important thing about reflection is that it’s a form of self-assessment. You’re not grading the students, and there are no correct or incorrect responses. The purpose of the discussion is for students to think about the investigation processes and to share and reflect on different ideas. What have they enjoyed? What was easy and what was challenging? How do their experiences in their teams connect to experiences outside the classroom? 4. Real-world connections – Get students acting out behaviors that they’ll be able to use again and again throughout their lives. A big part of Twig Science collaborative investigations is how they connect to the way real-life scientists and engineers work in teams. Giving students this real-world connection adds meaning and purpose to what they’re doing. As they take on the roles of scientists and engineers, they’re acting out behaviors that they’ll be able to use again and again throughout their lives. They’ll understand that scientists, too, have team roles. They listen to each other. They’re respectful when they disagree. They build on each other’s ideas. Students will associate these attitudes with success as they act them out and become used to recognizing them in the world around them. 5. Language routines – Communication is a fundamental component of teamwork. How students use language is an important indicator of their levels of understanding and respect. Communication is a fundamental component of teamwork, which involves a careful balance of being able to express ideas and opinions and also listen to those of others. It’s directly connected to our social and emotional development, because language is our primary method of expressing what we feel about ourselves and each other and describing what we agree and disagree about. Twig Science includes a number of repeated language routines (e.g. Turn and Talk, Collect and Display) that structure the way students use language in investigations. They’re encouraged to use the words they feel comfortable using—without the need for formal “perfection”—while given the support to connect these to scientific vocabulary when they’re ready. The language routines support English Learners—and other students who lack confidence—to take part fully in discussions. Communicating in an inclusive, encouraging, understanding environment leads to confidence, and confident communication increases students’ ability to work well as team members in the classroom and as successful and respectful citizens. We hope you find these ideas useful—we’d love to hear what you think! 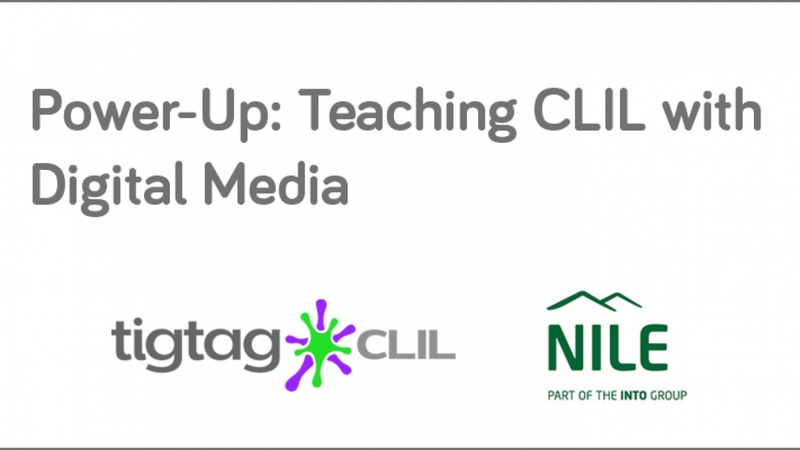 See Tigtag CLIL in action with the NILE online course Power-Up: Teaching CLIL with Digital Media. With the UK’s widest range of education courses for language teachers, NILE offers both face-to-face and online courses. Offering training and development at a world-leading centre of excellence, Tigtag CLIL has been chosen as the exemplar product to best demonstrate “Teaching CLIL with Digital Media”. We know the demands on teachers are huge, so this online course offers interactive, tutor-led teacher training and teacher development that can fit around a busy working life. All trainees will get free access to the award-winning Tigtag CLIL during their course, plus a three-month subscription to use in the classroom! Needless to say, the team here at Twig Education are thrilled to have the opportunity to work with this world-class organisation and honoured to be chosen as the exemplar product in this field. Theoretical physicist Helen Quinn chaired the National Research Council committee that created A Framework for K–12 Science Education—the foundation of the Next Generation Science Standards (NGSS) program. As such, she was instrumental in building the program that focuses on new ways of teaching and learning science, in which students are supported to think like scientists and engineers in investigating natural phenomena and engineering design problems. Twig Education CEO Catherine Cahn spoke to Helen about how NGSS will change the way that science is taught in elementary school and why this stage in students’ development is key. Catherine Cahn: How can we inspire a love of science in students at a young age? 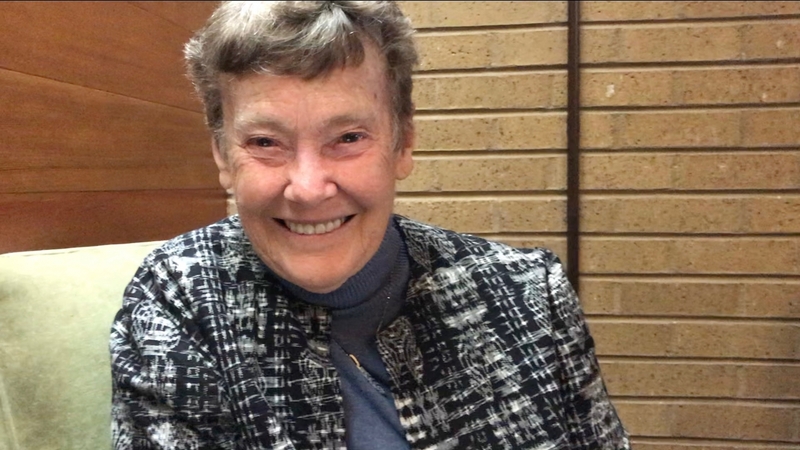 Helen Quinn: To encourage students to learn, to want to learn, means you have to find ways of engaging them in activities which they find interesting and rewarding, but are also learning activities. That’s the kind of situation where kids get turned on—not just to becoming scientists, but to becoming learners and to becoming thinkers. That is what we want to see in elementary school science. CC: When did you first develop an interest in science yourself? HQ: I was very fortunate to go to an elementary school that was very progressive. It was actually a new school on 50 acres of bushland with only three classrooms, and so we had a huge outdoor area to explore and study. We didn’t call it science, we called it nature study. We went out and figured out what plants grew where and why. We just spent a lot of time exploring and finding out what was going on, and that was just part of the way that school functioned at that time. And it gave me a grounding in being curious and asking questions that has served me in good stead throughout my career as a scientist. CC: What is your vision of how the Next Generation Science Standards will transform elementary science education? HQ: Science should be one of the things that makes school fun and interesting for kids and engages kids in wanting to learn. That is done by the right kind of activity, putting the right kind of material in front of the children that will make them curious and make them want to ask questions—and then the support for them to investigate and find the answer to those questions and to think for themselves. In my experience, that experience gets kids not just more interested in learning science but generally more interested in learning. CC: How will this shift in elementary science benefit students? HQ: What young students think about is what do they like to do and what is interesting to them. What would they like to read about? What are they interested to find out more about? If they are only exposed to sports as something that’s interesting and fun to do and read about, then they become interested in sports. If they’re exposed to engineering and the design process, and have fun designing things, then they become more interested in “Where can I get more such opportunities?”—and maybe eventually they’ll start thinking about becoming engineers or scientists. CC: Can you describe how you think that a successful science experience in elementary builds the foundation for success in secondary school in all subjects? HQ: I think the issue of middle school children being turned off to science is partly an issue of middle school children who’ve been turned off to learning by their elementary school experiences. Learning is a sequential process—everything we learn we build on our prior knowledge, and the richer and deeper our prior knowledge is the more we are ready to learn the next thing. A good elementary school science program is designed to build a base for the kind of science learning that needs to happen in middle school, and the middle school program builds a base for the kind of science learning that’s to go on in secondary school. At each level, you’re revisiting topics but revisiting them at a greater depth. So if you’ve built the base, you can start at a different place and go further with the topic. CC: How do we encourage people from all backgrounds to consider STEM careers? HQ: Put it this way—people don’t choose a career they’ve never heard of. Just knowing that there are people that do science rather than that “science is just a bunch of facts that I have to know”—or knowing there are people who design things rather than just thinking things exist because they exist—is really important in order to even begin to think about careers that are different from those of their parents. Big news—Twig World Ltd is becoming Twig Education! Twig World Ltd is changing to Twig Education. Why? Because education is what we do. We’re committed to improving the quality of education around the globe, and we’re also dedicated to creating clear, intuitive, and exciting resources. We want that commitment and clarity to be reflected in our name: Twig Education. Last year, we launched our new corporate website—twigeducation.com—where you can learn more about our company, our partners, and our full range of products. Since then we’ve been working hard to continue to expand our product portfolio around the world. If you’re a teacher of students aged 11–16, there’s no need to panic. Twig World, our award-winning secondary resource, isn’t going anywhere and can still be found at the usual website address. Look out for more award-winning, world-class products from Twig Education! NGSS has shifted the way science educators are thinking about and designing instruction and assessment. One way to address these shifts for California educators is to consider how 3-D performance assessments can help teachers chart their students’ progress towards meeting the goals of NGSS. 1. The key to NGSS is three-dimensional learning. With NGSS, science teaching and learning is no longer just about memorizing information. At its heart are Performance Expectations, describing what students are expected to know and to be able to do. To meet these expectations, students have to think like scientists, using knowledge in creative and analytical ways. They apply their understanding of scientific concepts to solve problems and make connections between the various STEM disciplines. 2. The three-dimensions of NGSS learning are SEPs, DCIs, and CCCs. There are three main components of NGSS Performance Expectations. The first is Science and Engineering Practices (SEPs). These are specific activities—such as using models and carrying out investigations—that scientists and engineers use in the real world. Students following SEPs behave just like real scientists. The second component is Disciplinary Core Ideas (DCIs). These are made up of the primary knowledge and facts that students are expected to know in each discipline. The third component is Crosscutting Concepts (CCCs), which are the concepts that come up time and time again across all the science disciplines—things like patterns and cause and effect. 3. To maximize 3-D learning, we need to think about the assessments we use. Many forms of assessments—Q&As, research projects—are good at measuring single dimensions of Performance Expectations, but ideally we want to develop assessments that provide evidence of the three-dimensions of NGSS. That’s where performance assessment comes in. Performance assessment is learning by doing. Unlike traditional forms of assessment, in which students learn and then get assessed at the end of an instructional unit, students are assessed as they perform and demonstrate real science practices and reasoning during the entire instructional sequence. 4. Performance assessment is assessment for and as learning. Performance assessment is educative, because it provides teachers with actionable data—to understand what students are able to do and struggling to do. This allows teachers to give feedback and guidance and actually change what and how they teach as they proceed through a course. What’s more, students assess themselves—they know what they can do right now and what they need to learn. So performance assessment is more integrated with learning and has an impact on how that learning develops, rather than just being a measure of learning already attained. 5. Twig Science’s hands-on investigations make performance assessment truly three-dimensional. Every Twig Science module features an immersive storyline, with hands-on investigations in which students try to solve problems, analyse their results, and make improvements. The investigations are explicitly tied to the three dimensions of NGSS—students gain knowledge, develop real STEM skills, and make connections between different disciplines. Students are being assessed in the NGSS performance expectations, the practices of scientists and engineers. Students are also expected to assess themselves as they consider how to develop their ideas, models or solutions. Often they have no idea they are being assessed because they are so involved in what they’re doing—designing solutions, manipulating data, talking to each other, learning from errors. It’s a really effective and dynamic way of learning. Cathy provides technical consulting and support through Stanford Center for Assessment, Learning, & Equity (SCALE). She develops innovative, educational, and state-of-the-art performance assessments for evaluating student learning. The Stanford NGSS Assessment Project (SNAP) team, many of whom, including Cathy, are part of SCALE, were invited by the California Department of Education and ETS to evaluate and provide feedback on assessment items and the development process for CAST. Proudly powered by WordPress Theme: Phlox Pro.